Last Resort, 666 Park Avenue: scripts order, a positive sign? ABC has reportedly ordered two more episodes of Last Resort and 666 Park Avenue. Is this a positive sign for full season orders? Last Resort debuted to a mediocre 2.2 rating in the 18-49 demographic with 9.31 million viewers. The second episode dropped 14% in both categories and the third installment dropped another 16% in the demo. This week’s episode bumped up a little, by 6%. The drama averages a 1.9 in the demo with 7.81 million viewers. 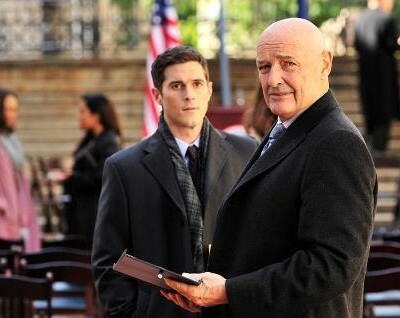 666 Park Avenue premiered to an also-disappointing 2.1 rating in the demo with 6.9 million viewers. The second episode dropped 19% in the demo and 28% in viewership. Week three saw declines of 12% and 3% respectively. It currently averages a 1.8 in the demo and 5.57 million. As you can see, neither of these shows is a hit and their numbers may very well may keep falling. By ordering two additional scripts for each of them, ABC is buying themselves a bit of time before deciding on the futures of the shows. Other than Private Practice (which is ending), they’re ABC’s lowest-rated dramas and seem destined to be cancelled. It looks like Nashville will soon be in the same boat. Because all of ABC’s new shows are ratings disappointments, it looks like the network is biding their time, waiting to see if any of them show positive signs of growth. What do you think? 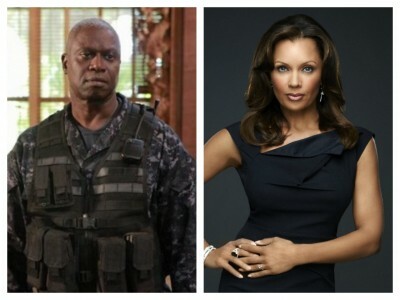 Do you watch either Last Resort or 666 Park Avenue? Do you think either or both will get full season orders? Will either get a second season? GREAT AND ENTRTAINING SERIES PLEASE,PLEASE DON’T CANCLE LAST RESORT, CANCLE SOME OF THE REALITY JUNK THAT IS FILLING THE AIR WAVES!!!!!!! I LOVE LOVE LOVE Last Resort!!! Please don’t cancel it! I look forward to watching the new episode every week and I know others do as well. WATCH episodes, and very easily. CBS does not have one or anything like it, So I know lots of people are watching(even reruns they’ve seen) through the app. So PLEASE don’t cancel- it would be a big mistake (I think anyways)! Thanks! Love this show, why oh why??? I can’t believe ABC is canceling Last Resort. DON’T DO IT!!!!!!! KISS YOUR AWARDS GOODBYE ABC!!!!! 666 Park is an amazing show! It’s filled with soooo much suspence…I ALWAYS want more! Plus love the cast!!!! I love Park Ave 666 and Private Practice but, have to admit Grey’s Anatomy is great. I think people have just not watched Park Ave 666 because they thought it would be scary. It’s very suspenseful , not scary. Give it one more chance and advertise on suspense instead do scary.